Help Baby Angel: Angel is here! Angel and her daddy Pol are in the US! They arrived in Dallas today. We all went to the host family's house where Pol was treated to a nice Filipino meal of rice, pickled veggies, and fish. Angel was held by her "new" Lola (that's Filipino for grandma!). 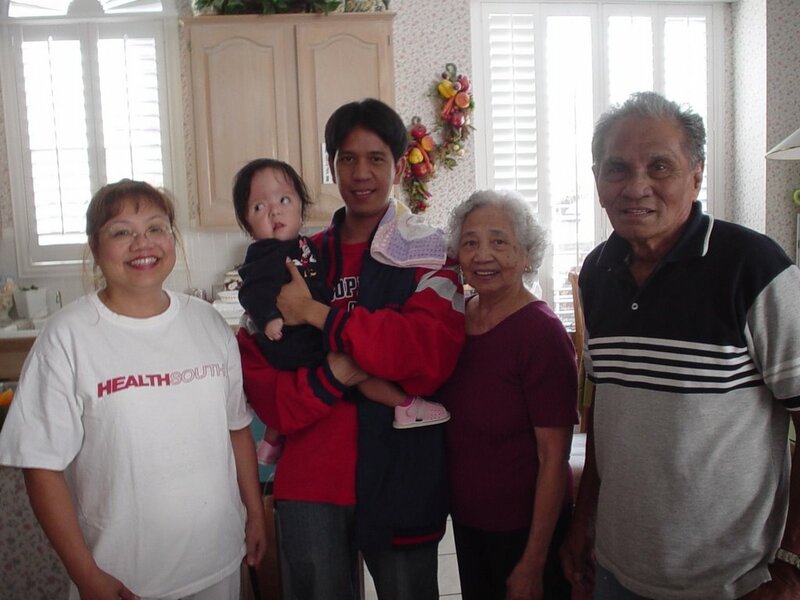 She met many people from the family including her host parents Eddie and Cissy Bardeloza and Lolo (that's grandpa!). Pol and Angel have a very nice room that was filled with toys and stuffed animals (and diapers!). Tomorrow, we are going to the hospital and the different charity agencies that have helped them get here to say "hello" and "thanks"!